BOCA RATON, Fla. A rocket scientist with NASA and a former CEO of a nationwide food chain offered their perspectives on creativity to credit union executives attending CO-OP Financial Services' THINK 12 Conference last week. 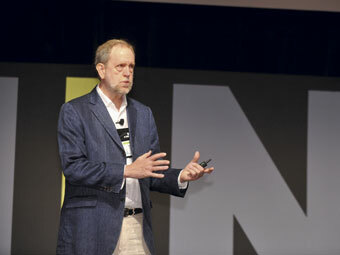 Doug Rauch, former CEO of Trader Joes, described how the food chain focused first on finding out its customers’ needs and then striving to meet them. BOCA RATON, Fla. — A rocket scientist with NASA and a former CEO of a nationwide food chain offered their perspectives on creativity to credit union executives attending CO-OP Financial Services’ THINK 12 Conference last week.